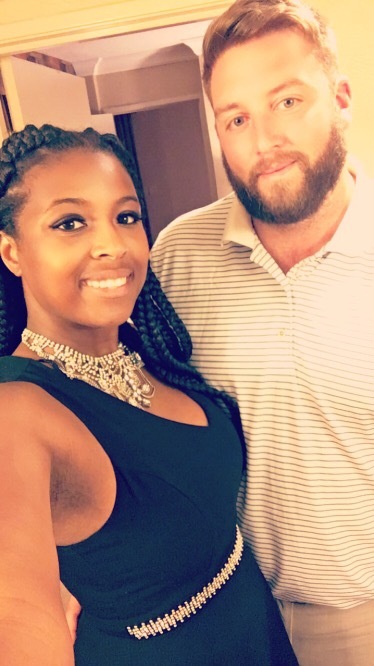 My Amazing Trip to Vegas! I had an absolutely wonderful time in Las Vegas! This was my first time planning a vacation and flying to the west coast. 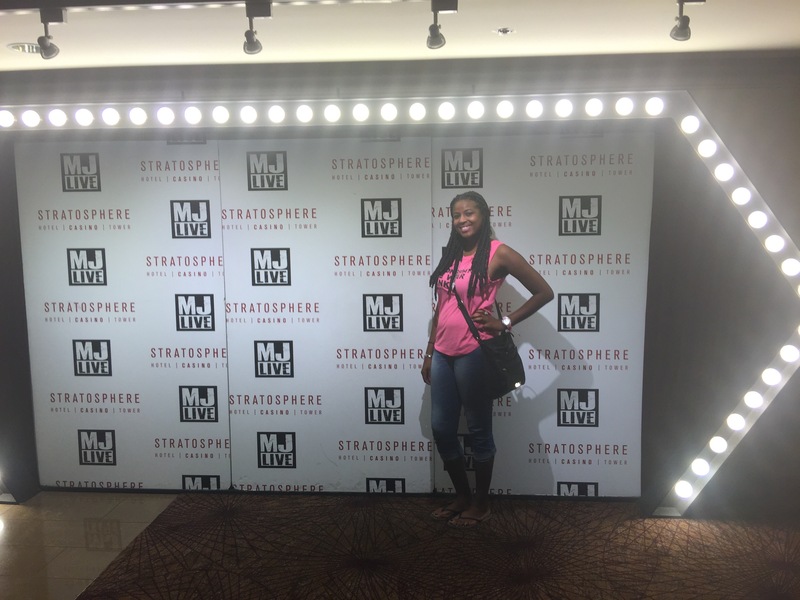 When stayed at the Stratosphere hotel in a beautiful suite! I was blown away when we walked into the room. 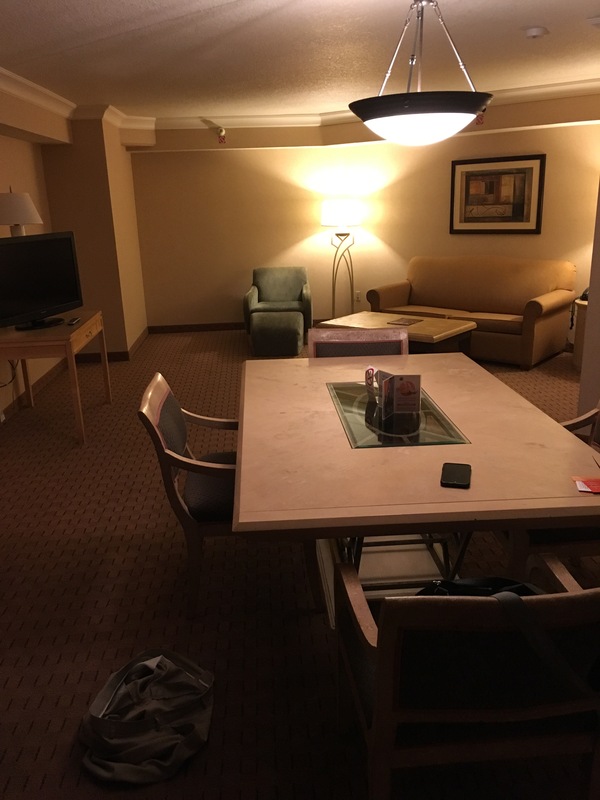 I had no idea that our room would be so large! We had plenty of room to relax and put our thing. We eventually even made the large table in the living area into a beer pong table! Plus, the hotel had a rooftop pool that we frequented the entire trip. 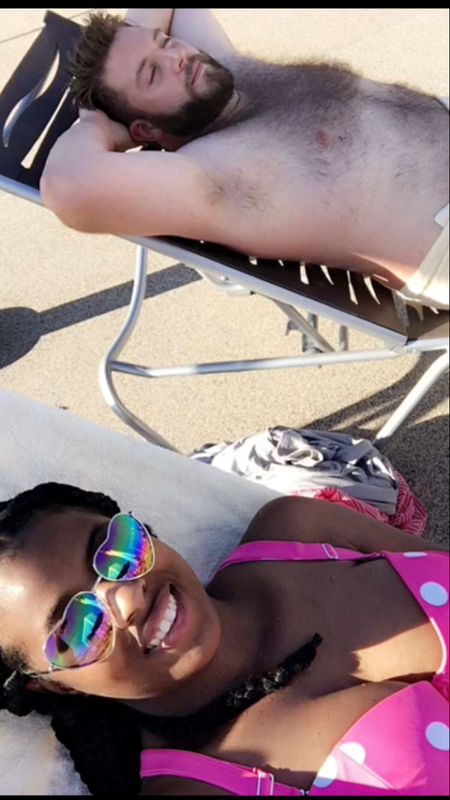 Relaxing and enjoying each others company in the pool. I even bought an amazing bathing suit for the occasion. Our first day exploring Vegas was fun. Brad even won money at the first casino we went to! One of the more interesting parts of our trip was when we walked into the Circus Circus hotel. I was told by a friend that I would be approached by people who would offer us free things. This immediately happened. I wasn’t aware, but people give you things if you let them try to sell timeshares to you. We got roped into one which was fine when we got our gifts. But, when I say that they try to sell things to you. They really push hard. One man was persistent enough to tell us we weren’t going to give us our gifts after we said no. Luckily, that crazy person was not in control of our gifts. 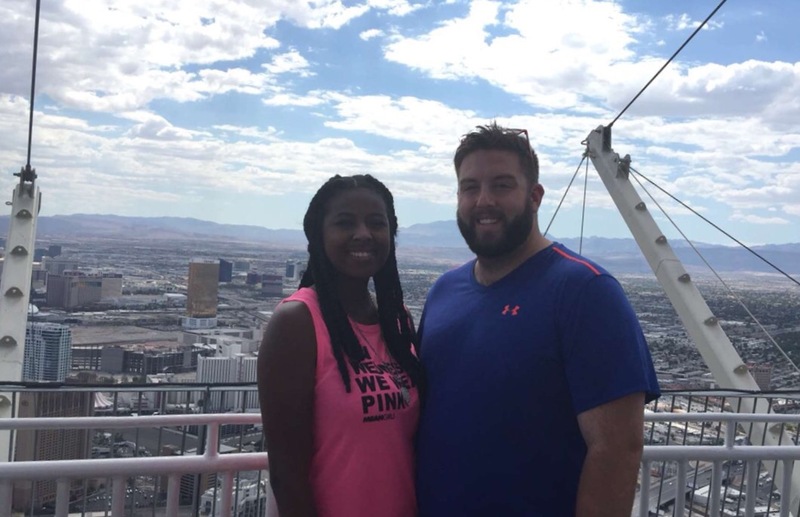 After enduring their everlasting spiel, we scored tickets to MJ Live (a Micheal Jackson tribute concert), $100 to the Top of the World (A restaurant located at the very top of the Stratosphere tower), and two buffet tickets. So, we were really happy with that! MJ Live was a really great show. The costumes, the music, the lights. All made us feel like we were really at a Micheal Jackson concert. I absolutely loved eating at the Top of the World. The restaurant rotates, so you get an amazing view of the city at all times. The food and drinks were amazing! We loved exploring the Vegas strip. 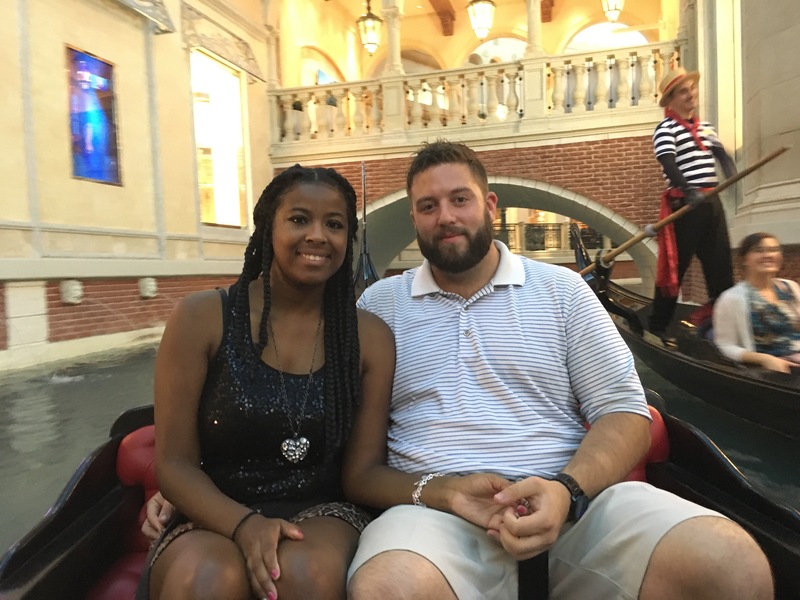 The Venetian hotel was probably our favorite place since we visited it multiple times. We just loved the beautiful sky painted ceilings and the feel of being in Venice. We even did a gondola ride in the indoor canal. It was probably one of my favorite parts! We were also lucky to be approached by a club promoter! Someone else who gives people free things in Vegas! 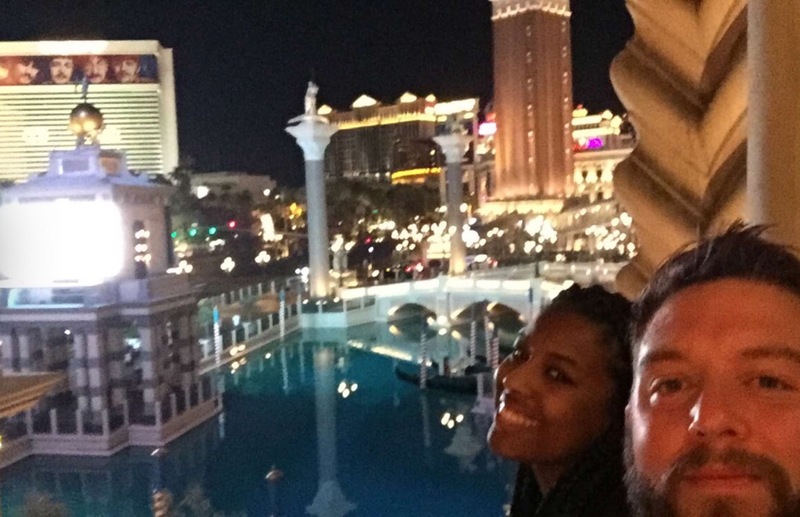 He put us on the guest list to LAX, a nightclub inside the Luxor hotel. It was pretty cool to see a Vegas nightclub. There were lights, dancers, and a pretty good DJ. We danced for a while which was pretty fun. I even got a free drink! Overall, this was one of the best vacations I had even been on. I had so much fun and had some quality time with my love and just enjoyed every second of being there. Can’t wait to go back!